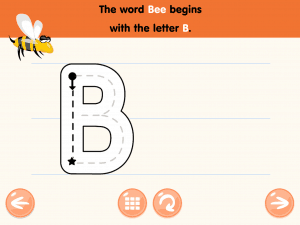 Product Review: Learn to Read & Write by Kids Academy Co. App. 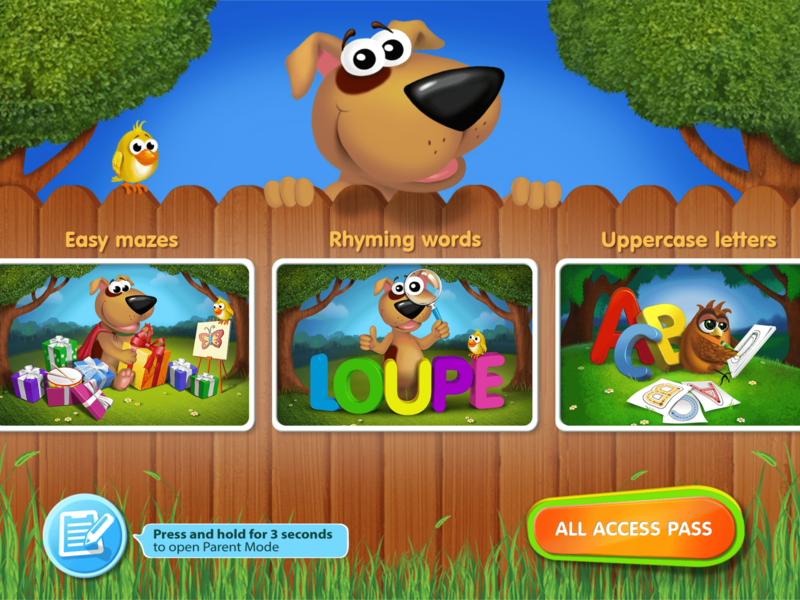 This app has three games for free to play: Easy Mazes, Rhyming Words, and Uppercase Letters. I did notice as soon as I opened up the app it would show the volume control. 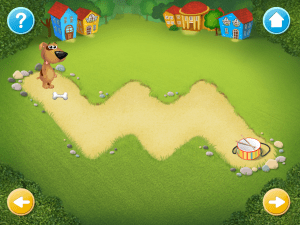 I would suggest putting the parental controls on due to in-app purchases. 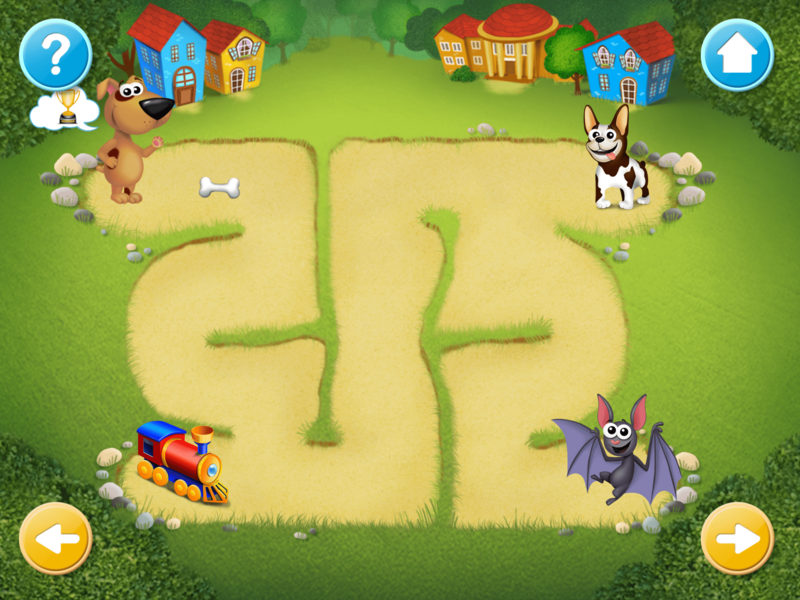 The first game has the child dragging a bone to the object on the other side of the maze. This was a little hard, the bone would sometimes get caught on an edge and I would have to figure out how to move it away. The second game is about dragging a bone the child moves with their finger as the dog follows to the object that rhymes with the object that the dog has. This was also a little hard, the bone would sometimes get caught on an edge and I would have to figure out how to move it away. You have to trace the “B”. 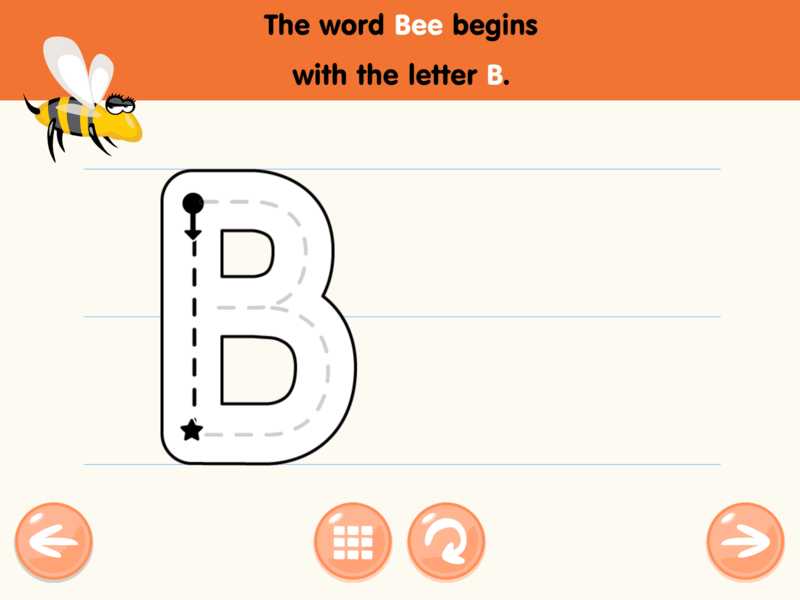 The last free game within the app has the child tracing letters of the alphabet with their finger. This was easy; just have to go in the same direction as the arrows. It will then have them trace the letter by their self. 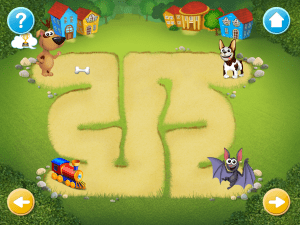 There are four other “workbooks” or games but these are for the paid version. 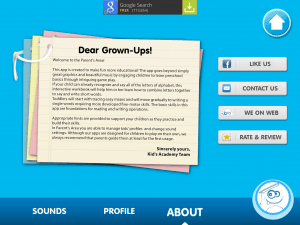 The app also has a parent mode, in it the parent can control the sounds (making the sounds go off or on and making the music go off or on), see the progress that the child is making, and make a profile for the child.